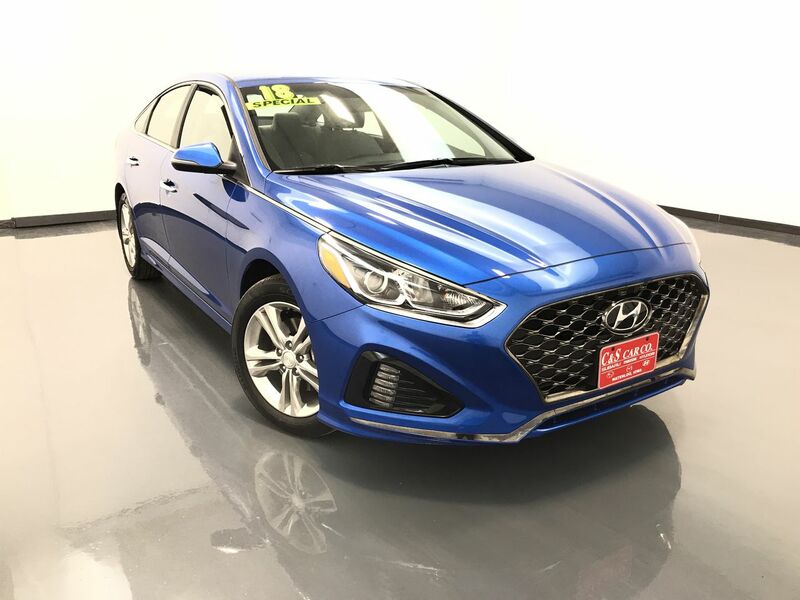 2018 Hyundai SONATA SEL- Contemporary. The 2018 Hyundai Sonata brings a new level of style to its exterior. Comfort. With class leading interior volume and more rear seat hip and leg room than much of the competition. This SONATA SEL has heated front seats, a power driver's seat, keyless entry and ignition, a heated steering wheel, dual climate controls, blind-spot detection, a back-up camera, and an AM/FM sound system with XM satellite radio and Bluetooth connectivity. The exterior features 17" alloy wheels with Kumho tires. ** One Owner ** Call C & S Hyundai toll free at 866-212-8718 or locally at 319-291-7321.